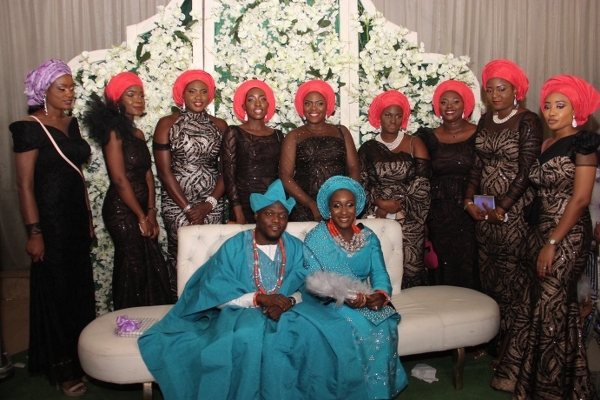 Two weekends back, a celebrity wedding took place between 2 families: the Ajayis and the Adeniyis in Lagos. It was joy and happiness, as both families got united as their children, Tosin and Femi tied the nuptial knot at a classy wedding. 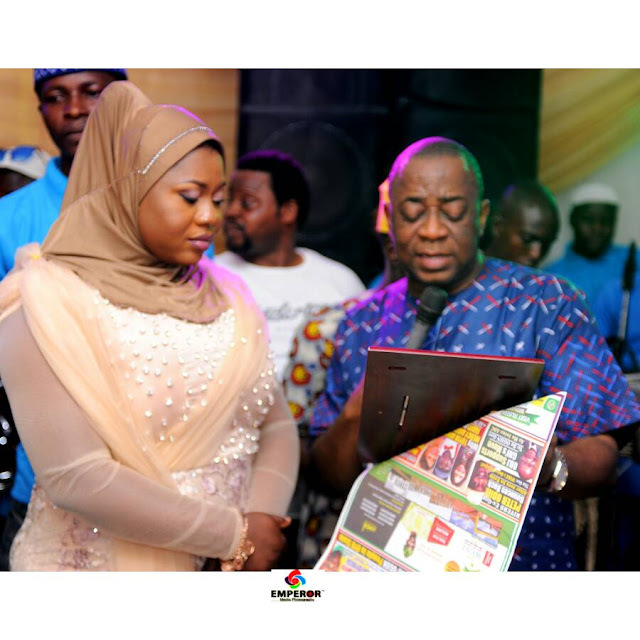 The 2-day event started with an engagement on 14th December and it held at Havilla Event Centre, V.I, while the wedding solemnisation took place at Trinity House Church in V.I, Lagos. It was followed by a colourful reception on Saturday, December, 16th, 2017. The wedding was witnessed by some celebrities, distinguished individuals, family members and friends from different walks of life. City People’s Society Editor, TAYO FAJORIN OYEDIJI & SUNDAY ADIGUN serve you gists from the colourful nuptials. The lovely couple, Tosin and Femi, were the centre of attraction at the nuptials. They betrayed the fact that they were fond of each other and their love story dates back to a few years ago. They looked radiantly beautiful on the 2 occassions and beamed all through at the event. They both attended ivy league schools. The groom showed the stuff he is made of when he danced in with eye- catching steps with his friends. The bride was not left out too as she also dazzled all with her friends. They wore peach mono-crome attire at their engagement. The bride opted for white sequined wedding gown, while the groom wore the conventional grey suit with a matching tie and they looked effortlessly cool. After the church service that took place at Trinity House, 318 Akin Ogunlewe road off Legali, Victoria Island, all the guests of the two families joined for a fun afternoon indoor groove, for drinks and dance at KFA Event Centre located at Km 13 Lekki-Epe, Expressway Lagos. The reception was Kick-Started at 2:28pm with guests well/dressed in semi-formal/formal blush and Burgundy, coming into the decorated hall amid light music playing solemnly to welcome them. The event was, indeed, one of its kind as it played host to the high and mighty from all walks of life. Many socialites and celebrities were there to grace the beautiful event. Group of men were seen dressed in blush Agbada fabrics with peach colour cap, to complemented the ladies outfits. At 4:04pm the family of the bride led by Dr. Ajayi himself and his amiable wife were invited by the host to dance into the Auditorium. The elegant and super elated Dr. & Mrs. Ajayi thrilled the family and guests with their dance steps. The hall was beautified by Lash Palms Limited. The Chairman of the day was His Royal Highness, Oba (Dr.) Adetoye Alatise, the Gbegande of Ososa from Ijebuland. In his remark, he gave glory to God for the beautiful day, appreciated the parents of the couple for their parental role and encouraged the couple to continue to stay in love, ‘they should love each other unconditionally’, and he blessed them. Many don't know that Kabiyeesi is a Medical Doctor like brides dad. Our guests could not stop talking about how amazing the space, food, service and experience was. The value is worth every penny. I highly recommend these NYC wedding venues for a gorgeous wedding, and that you leverage the amazing dynamic manager for your wedding Angel.